Updates: The rental market is as strong as it has ever been. The demand for rental properties is near an all-time high. In most areas, you will have multiple applications weeks before your current lease ends. While demand may be there, it is important not to overplay your hand. Tenants want to live in a place they are proud of. As a landlord, you need to strike a balance in the updates you make. Your property doesn’t need to have stainless steel appliances, but they shouldn’t be 20 years old either. If the property is dated, the demand will be reduced. There are many simple updates you can make that won’t break the bank. Look at your property as the investment that it is. By spending money on updates, you will ensure that demand will be there for years to come. These updates could make the difference between a tenant taking the property or passing for another. Location: Location is a factor with every renter. The property doesn’t have to be located near major highways and restaurants, but it shouldn’t be in an unsafe area either. Since there is no telling what type of location tenants want, it is best to focus on the neighborhood. Is the area in a safe part of town? What are the crime rates for the area? Is there any new development that could affect traffic? Look at the big picture when it comes to location. With demand, renters also have multiple options to choose from. Little things like the car volume of the street could be a deciding factor. 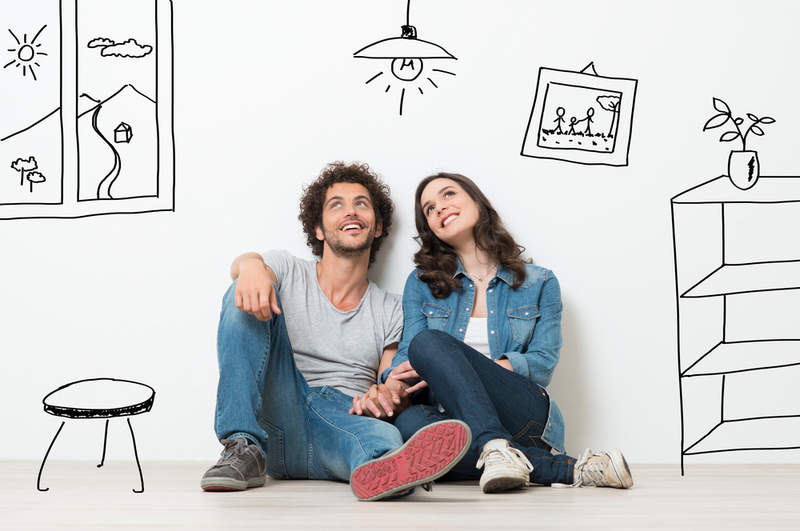 In the same way that location is important for end buyers, it is important to renters. Comfort: They say that most tenants know if they want to rent within the first 10 seconds of walking in a house. There is a certain level of comfort they can feel upon entering. This comfort is often based on the little things you do. Lighting, paint colors, smells and overall appearance are all important. These may be difficult to do with a tenant currently in the property. You need to take advantage of any time you have between leases. New welcome mats, shower curtains and bathroom items won’t cost you more than $100 combined, but add tremendous appeal. Even if you have a tenant in the property, you should pay to have it cleaned before the lease ends. Even the best tenants will not clean the way that shows your property best. A clean house adds to the comfort and comfort will get your property rented quickly. School Systems: School systems are often overlooked when trying to rent out a property. Any family that you rent to will place great importance on this factor. Some towns that are solid in other areas fail in their school systems. An otherwise attractive rental will be passed over for one in a better location. You may think that you can simply find tenants that aren’t focused on schools, but this reduces your renter pool. The school system for a town doesn’t have to be your first concern when buying, but it should be a factor. Find out if any schools are closing or changing policies. An average property with a great school system will have an easier time finding tenants. Price: Price is always important. Before you buy, it is important to know the rents in your market. One of the mistakes that investors make is thinking they can increase their rents by the work they do. This works from time to time, but not on every property. If you overprice your rental, you will have a hard time finding tenants. There are little barriers that make a big difference. $1,175 sounds better than $1200. $950 is always better than $1000. Instead of trying to squeeze the extra $50 a month, it is better to have tenants that want to stay in the property. The longer they stay the less time and money you will spend trying to find new tenants. Don’t list your property for a price you think you can get. Focus on real numbers that are in your area. This is what your tenants will do. As a landlord, you should control everything that you can. What you will find is that it is the little things that often make a difference with tenants. Put yourself in their shoes and think like they are. Appealing to your market will increase demand and make being a landlord as easy as it can be.